South African Communist Party (SACP) leaders held a special congress July 7-11 where a broad discussion was held on the contemporary situation inside the country as well as internationally. As a close ally of the ruling African National Congress (ANC) and the Congress of South African Trade Unions (COSATU), the SACP has been a leading component of the struggle which overthrew the racist apartheid system of settler-colonialism. In the present government of President Jacob Zuma, Communists hold leading positions in various portfolios and departments. SACP Secretary General Dr. Blade Nzimande is also the Minister of Higher Education and Training. Nzimande delivered a major report to the Congress outlining the present situation inside the country and globally. The party says that it has experienced significant growth in the recent period due to the consistency of its ideological orientation but faces challenges related to the political fragmenting of the Congress of South African Trade Unions (COSATU) and the ongoing economic crisis which is international in scope. Nonetheless, the party acknowledges that since the realization of majority rule in South Africa, the ideological trajectory of the world capitalist system has been dominant. The Secretary General’s report reviews the notions of “The End of History” which were being advanced by pro-capitalist intellectuals and the corporate media after the collapse of the socialist systems in Eastern Europe and the former Soviet Union. Saying that there was no alternative became a standard phrase utilized during the early years of the ANC ascendancy to political power. 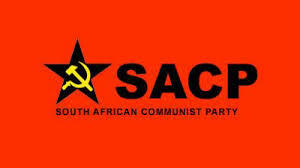 The SACP reiterated that there has to be an alternative to capitalism which is socialism. In the report the party is calling for a renewed radical phase of the National Democratic Revolution. Recognizing that this view is labelled as “utopian” by the proponents of globalization, which is imperialism in its modern context, the SACP Secretary General’s report called for a total break by South Africa from the world capitalist system. This can only be done according to the Secretary General through the unity of the working class. In emphasizing unity in action the party realizes that the current factional problems which have split COSATU is a major obstacle in advancing the anti-capitalist and anti-imperialist struggle moving towards socialist revolution and reconstruction. Internal problems within the largest of South African trade union federation are being discussed at a special national congress convened on July 13. The expulsion of the National Union of Metal Workers (NUMSA) along with the former Secretary General Zwelinzima Vavi has created tensions within COSATU. NUMSA was the largest affiliate within COSATU breaking with many within the national leadership over its alliance with the ANC and its failure to campaign for the ruling party in the 2014 national elections. Vavi was suspended and then reinstated during 2014. Earlier in 2015, he was expelled by a meeting of the Central Executive Committee of the federation. Both NUMSA and Vavi claim that their expulsions were at variance with the federation’s constitution. At the current COSATU special national congress the leadership is saying that there will be no appeals presented on behalf of NUMSA and Vavi. A new Liberated Metalworkers Union (LIMUSA) was created several months ago and validated at the special national congress. In addition Second Deputy President Zingosa Logi was also accredited to attend the meeting. However, expelled members of COSATU warned that failure to address their concerns could destroy the federation. Vavi told Eyewitness News that the federation is at risk of final irreparable destruction and that it would not be easy to achieve unity. The former Secretary General continues to say that he is dismayed at the current situation in the federation. Current leaders of COSATU refute the views of Vavi saying that the source of the problems is with those unions and leaders who have been expelled. Meanwhile, COSATU’s First Deputy President Tyotyo James has appealed to divided factions to remain calm during the debate. Efforts by the SACP along with the ANC to repair the damage done to COSATU, a key constituency within the Tripartite Alliance, will prove to be critical in any efforts to renew the National Democratic Revolution. Unless a politically united trade union movement comes into existence it will be impossible to effectively fight international finance capital and its remaining holds over the South African people.